Pick up any financial magazine, peruse the money section of a newspaper, or search for mutual funds online and you will not have a problem finding a mutual fund to buy right now. There’s no shortage of “top mutual funds” lists. On the other hand, it can be no easy task to find an article, blog post or mutual fund salesperson to provide information that will help you decide whether or not to sell your mutual fund. So, why should you sell your mutual fund? If you are a mutual fund investor, then you may be purchasing mutual funds using an asset allocation approach that is tied to a goal (e.g., retirement, children’s college education). As you progress along the path toward your goal, changes in your asset allocation are necessary. For instance, if your children are approaching college enrollment, you may decide to adjust your portfolio to a more conservative allocation in order to reduce the risk of losing the money you have earmarked for college tuition. In this instance, you would sell a portion of your equity mutual funds and purchase more conservative fixed income mutual funds. Style drift can be a tricky issue. You should continue to research and evaluate your mutual funds to detect this style drift because you may unwittingly have too much exposure in one area of the market. Style drift may leave you with an overweighting in one investment class and underweight in another, therefore changing the risk/reward characteristics of your portfolio. Another reason you should consider selling your mutual fund is if the manager of the fund leaves the helm. Many investors buy a mutual fund due to the track record of a particular fund manager. For example, remember Peter Lynch, famed manager of the Fidelity Magellan Fund until 1990? Many investors bought into the Fidelity Magellan Fund because of Peter Lynch’s unique style of investing and successful track record, only to be disappointed with lackluster returns (or, at least, not as stellar returns) after he retired. 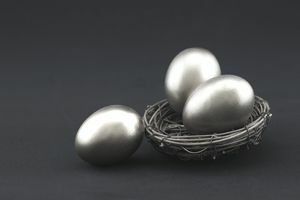 When a fund manager retires or otherwise leaves to pursue other endeavors, and a replacement manager enters the fold, the new manager may have a different philosophy than the recently departed manager. For this reason, the fund manager may revamp the portfolio, creating the turnover that, at the least, may lead to undesired capital gains distributions. If the manager of your fund leaves, consider it an indication of a changing strategy and consider selling your mutual fund. If you buy a domestic large-cap mutual fund, you may expect that the fund should, over time, outperform its benchmark. In this case, you would expect that a domestic large-cap mutual fund should outperform the S&P 500 -- otherwise, you would simply have bought an S&P 500 index fund, right? If your fund consistently underperforms its benchmark, then consider selling your mutual fund and buying another actively managed fund, or perhaps, buying the benchmark itself through an index mutual fund. If you are a long-term investor, and you believe in a buy and hold strategy, it is important to remember that your buy and hold strategy does not mean that you should never sell your mutual fund. Keep in touch with your fund, either through research (beyond an annual performance check-up) or a trusted financial professional. Maybe...just maybe...you will find reasons to sell your mutual fund and replace it with an alternative that better meets your needs.